Seagate Development Group, LLC and BCB Homes came together to develop a nearly ten-acre community in Boca Grande. 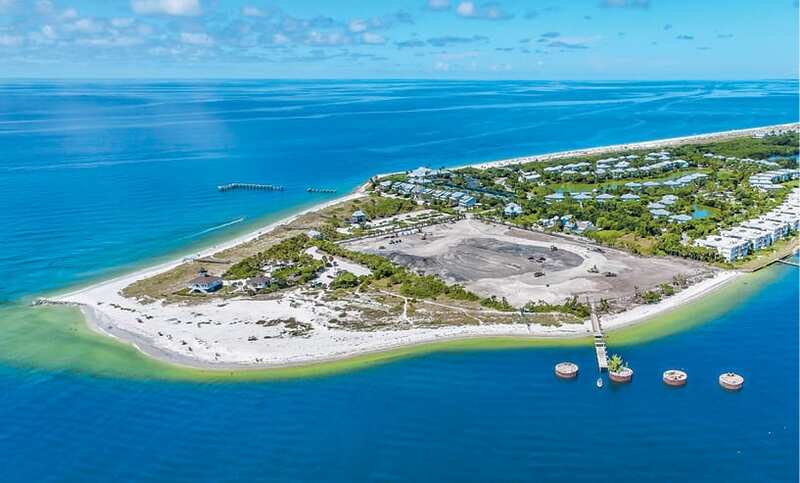 This last contiguous buildable parcel for luxury single-family homes would honor the architectural traditions of Gasparilla Island and maintain the integrity, heritage and personality that define Boca Grande. 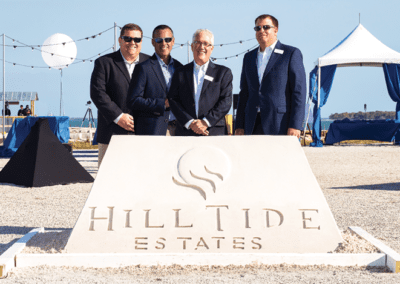 Hill Tide Estates is the only community in the area with views of Charlotte Harbor, Boca Grande Pass and the Gulf of Mexico. 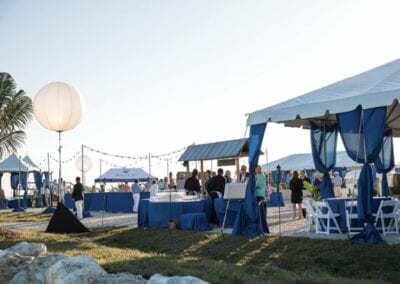 As the partners combined innovation with tradition, they looked to Spiro & Associates Marketing, Advertising, Public Relations and Brand Architecture to provide strategic marketing and brand storytelling that would give residents, Realtors®, potential home buyers and media representatives alike an appreciation for the transformation of this humble waterfront space. 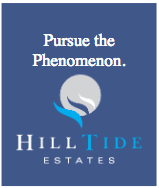 This would introduce the world to the community through a campaign that would make Hill Tide Estates stand out. Boca Grande dates back to the early 1900s, evolving from a retreat for famous business tycoons to a playground for America’s first billionaires. 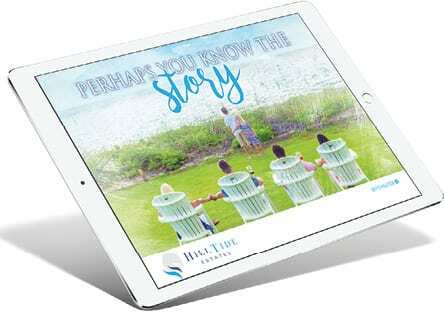 Therefore, we knew that the brand we created for Hill Tide Estates had to be worthy of that lineage, especially since it borders “the Tarpon Capital of the World.” We started by “mystery shopping” the island and all that it has to offer, for insight to develop a unique marketing plan that would capitalize on Boca Grande’s authentic features and take the brand to places even the Agency had never been before. Then, came the logo. 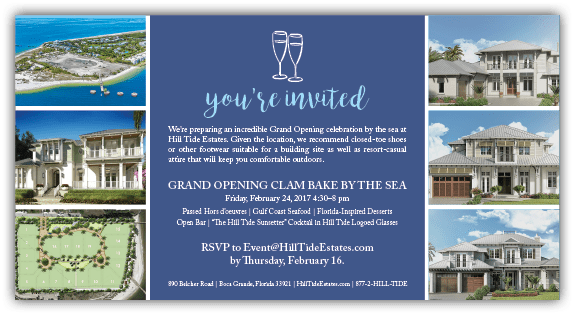 The circular silhouette pays homage to the late spring moon, with parallel waves of white, cyan and blue representing the undulating surface of Boca Grande Pass when the tarpon “roll.” Hill Tide Estates is rendered in a custom typeface, centered and enclosed in a frame. 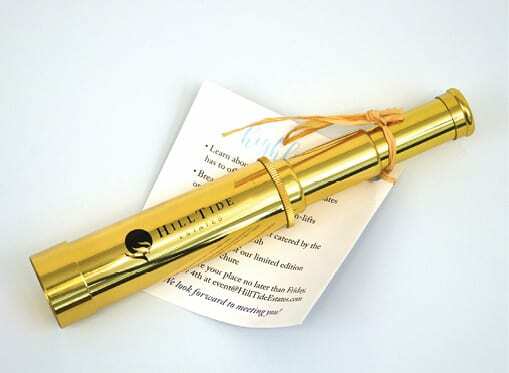 Due to the island’s fabled past, we also knew that the brochure we created needed to be as phenomenal as the opportunity to own there. The most auspicious solution was an oversized, hardcover storybook with many Agency-generated illustrations. Its square silhouette is accompanied by original photography that is filtered with a watercolor effect to enhance the storybook mood. 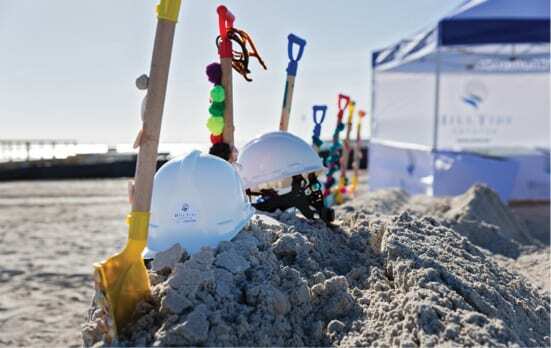 We led an onsite photoshoot, which brought together Brand Architects™ and client-associated talent. 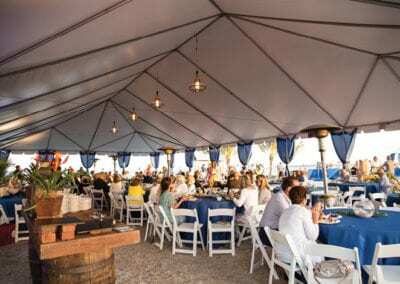 To feature the very best of Boca Grande, it further segued into a “Discovery Tour” video with the moving images of the stills found in the brochure, as well as drone footage of the must-see sites on Boca Grande. The words echoed within the storybook are woven throughout the video, along with descriptive captions and soft music. That video is currently displayed on the website and the client’s YouTube channel, as well. 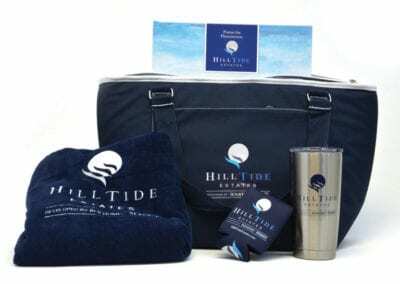 Using our original photography and video footage, we created a website, HillTideEstates.com. 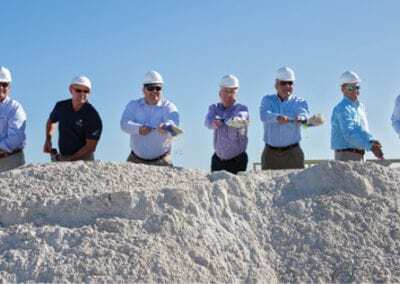 It provides a colorful history of Gasparilla Island, narratives on the planned amenities, photos, model descriptions, developer biographies and a webcam that streams live site footage and a time-lapse of the progress being made. 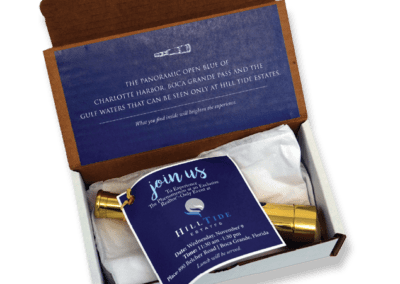 Next, came an elaborate ad campaign that launched with the headline, “Perhaps You Know The Story.” It opens with a man on a fishing boat that looks out onto a watercolor ocean against a clear blue sky. 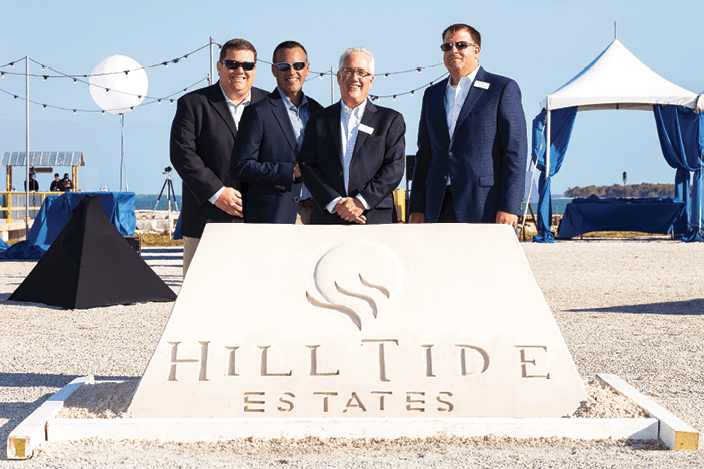 That image transitions into renderings of the Hill Tide Estates site, followed by an invitation to be a part of the profound history of Boca Grande. Three home sites were immediately purchased by a sole buyer, and additional sales followed. 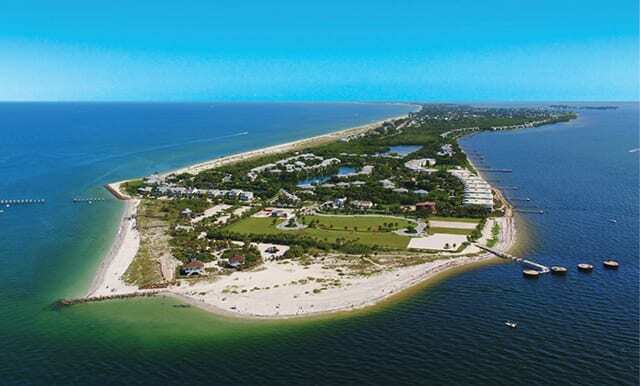 Though Boca Grande is seasonal, year-round traffic to Hill Tide Estates is still strong. 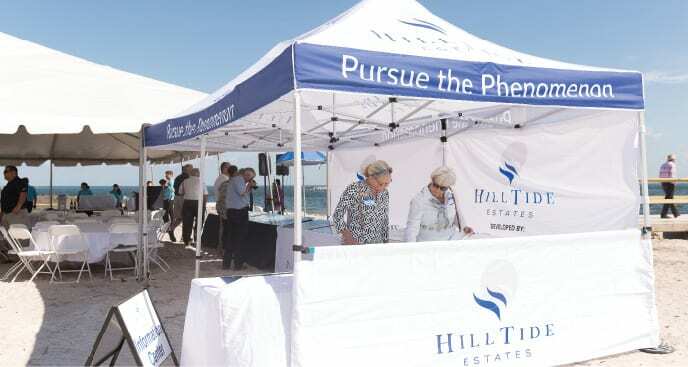 The onsite Information Center also received numerous calls from other interested parties. 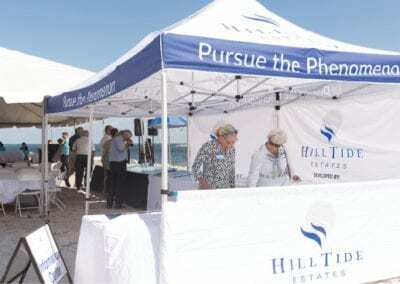 Further to that, after the grand opening gala, six of the 19 lots were reserved. The “Discovery Tour” video has generated a multitude of views on YouTube alone, and the website has 73 visitors per week and 259 visitors per month. 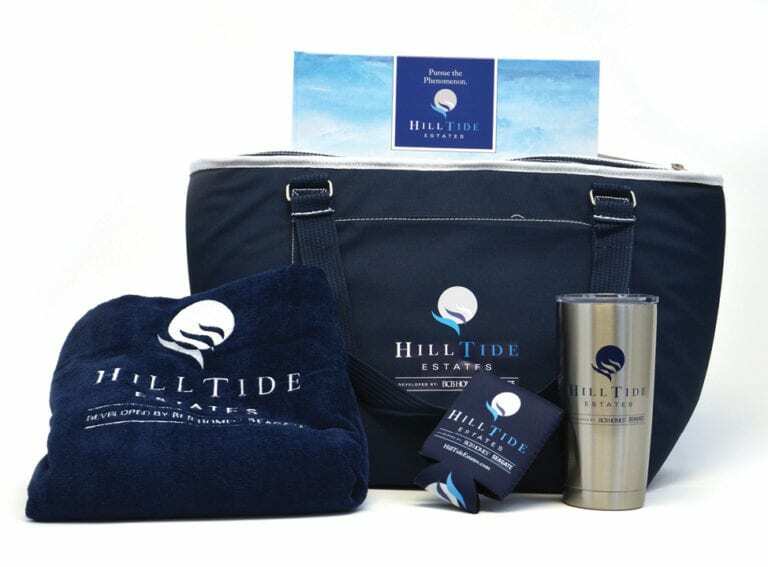 Buyers, prospective homeowners, Realtors, the media and island residents were not the only ones to validate the exceptionally captivating nature of the Hill Tide Estates branding and marketing campaign; so were the judges of two prestigious competitions. The Discovery Tour Video and the Storybook Brochure received perfect scores, indicating they both received unanimous votes by the judges—a rare and admirable achievement. 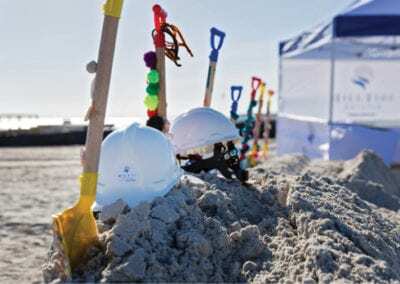 On the heels of award season, both Seagate Development Group and BCB Homes commissioned new opportunities for the Agency.